Hey guys. Bit of bad news here, so bear with me for a while. If you haven’t been able to tell by the lack of an “IT’S READY!” at the start of this announcement, we’ve run into a few setbacks. After our imminent release was announced two months ago, things kinda got crazy. As we were trying to put all the finishing touches on everything, scrambling to get scripts finalized and all that jazz, we unfortunately had to part ways with our sprite artist, Artist_Apprentice. While we’re sad to see him go, we wish him the best in his future endeavors. Sadly, that’s not the end of the personnel changes. Guy and myself are no longer writers, due to him being too busy with personal matters, and me being a useless blob of uselessness. At least I can make a pretty mean blog post though, right? Anywho, left with incomplete sprites for the demo, we did the only thing we could and negotiated contracts with new artists. 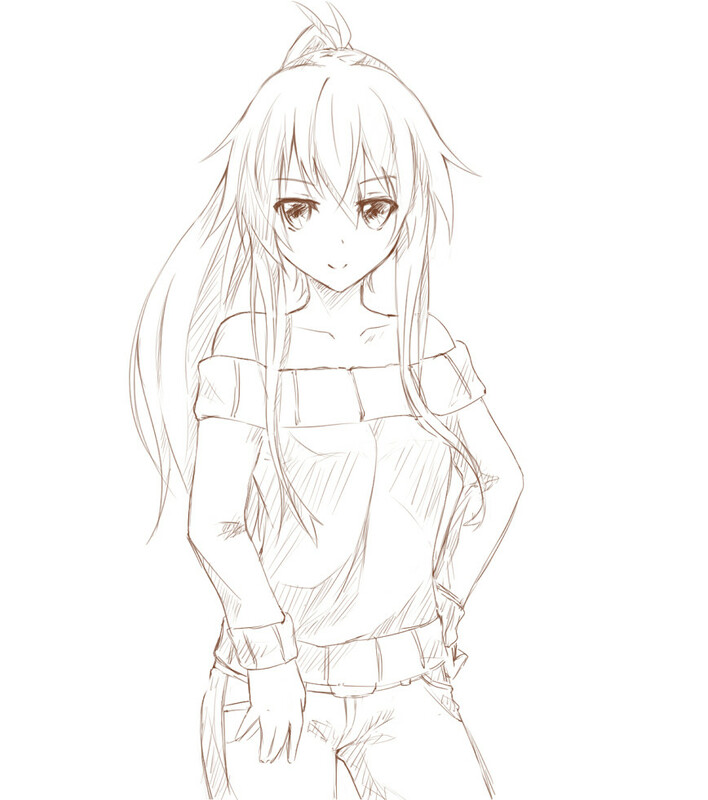 We’ve since filled the vacant character artist position, and also picked up someone to work on CGs. It will take a little more time and work to get caught back up to where we were, but we’re pretty content with the quality of art we’re going to be able to have. Getting back on topic with the drops in the writing staff, we’ve thus picked up two new writers, Syon and OrangeShavings. They’re pretty damn good, so look forward to some awesome routes! With the change in staff though, unfortunately I have to announce some even sadder news (probably the worst of all), Hiyori is being cut from the script.. I know you all will be devastated by this (after all, we all knew she was best girl) but we all just felt it was the right direction to take. With her departure, we are still going to have another route, which means an all new girl, so look forward to an announcement for her in the future! All this is disappointing, and we’re sorry for getting everyone’s hopes up with promises of an imminent demo release. We’ve learned our lesson, and the next time we announce a release, it will be when it’s actually finished. It’s not all bad though, with these changes, we’re feeling pretty good about the direction we’re heading in. Things are starting to look really nice. We’ve had some editors look over the script, holes in the story are being filled with some much needed scenes, and the art is looking better than ever, so don’t lose all faith in us just yet! We still plan on giving you an awesome game, so stay hyped! 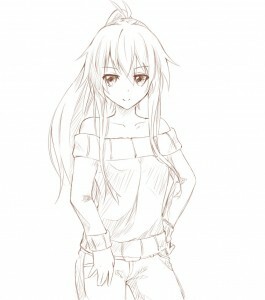 A little treat for our loyal fans, some sketchwork from our new CG artist, Hibiki9!